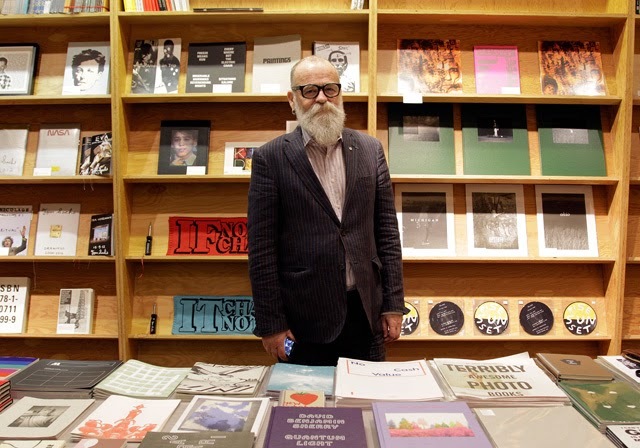 AA Bronson, founder of the NY Art Book Fair (running simultaneous to London this year, for some reason), founder of Art Metropole (with the other two members of General Idea), and former director of Printed Matter will discuss his life and work as an artist. Joined in conversation by Sam Ashby, founder of the queer 'zine, Little Joe, the pair will look at the history of publishing as a "democratic distribution of contemporary art", queer zines, community, and collaboration. Titled AA Bronson: In Conversation, the event will be held at the Zilkha Auditorium, Whitechapel Gallery on Friday September 26th from 7 to 8:30pm. Tickets range from £2.50 to £5.00 and booking in advance is essential.